Hi! Welcome to Histoire Travel. I'll tell you a little bit about myself first. My name is Erin. My love for travel began when I was 8 and parents took me to Switzerland. I walked across glaciers, rode on a dog sled, learned that fairy-tale castles exist, and hiked mountains to the live soundtrack of cowbells echoing in the lush, green valleys below while maniac rams tried to attack my dad through fences. It was amazing! You can't see the mix of terror and joy I'm experiencing. But you can see my impeccable 90's fashion-sense. 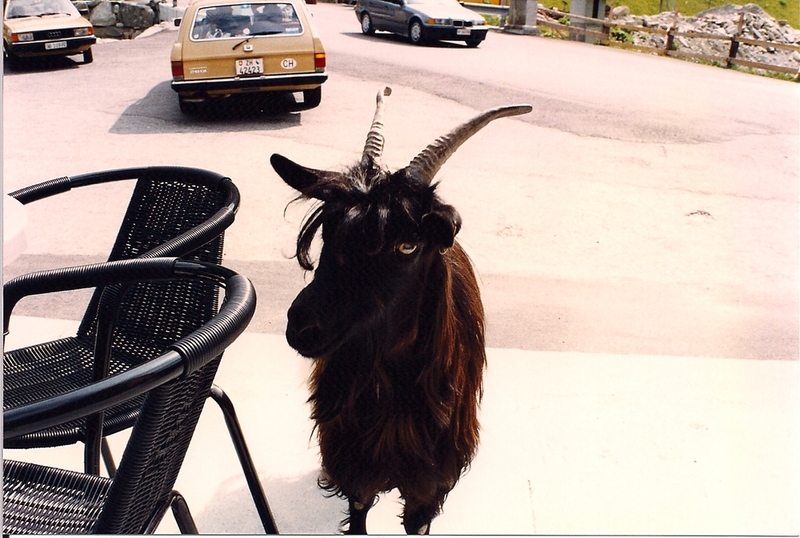 Oh, and a goat chased me around a table while I was trying to eat at a mountainside restaurant. A group of goats is apparently called a tribe. This was no tribe. This was a gang. Despite the deep trauma of the goat incident (why, yes, I do still hate goats), I caught the bug. Yes, the bug. I call it Wanderlustus totalus. I also started to help with trip planning and found that I love it nearly as much as the travel itself. I'm a big fan of slow travel and renting houses or apartments for a longer period of time instead of hopping from hotel to hotel, city to city, and site to site. Meanwhile, I developed a concurrent love of history thanks to a string of wonderful teachers who had an incredible gift for bringing the past alive. So I followed that love and now have a Bachelor and Masters degree in History. For better and worse, richer and poorer. If I had to choose one book that encompassed what I love most about history, it would probably be Natalie Zemon Davis's The Return of Martin Guerre. It's about an impostor who shakes up a tiny French town in the 16th century. There's intrigue, a courtroom drama, suspense, a hanging, and a wooden leg. It's oh-so-good. Histoire means both "story" and "history" in French. Histoire Travel is about adventure, exploration, curiosity, and stories--stories from the past and the stories you create on the journeys you take. My goal is to inspire you to set off on your own adventures. Feel free to contact me. I would love to hear from you, whether it's feedback, suggestions, or just a note to say "hi."